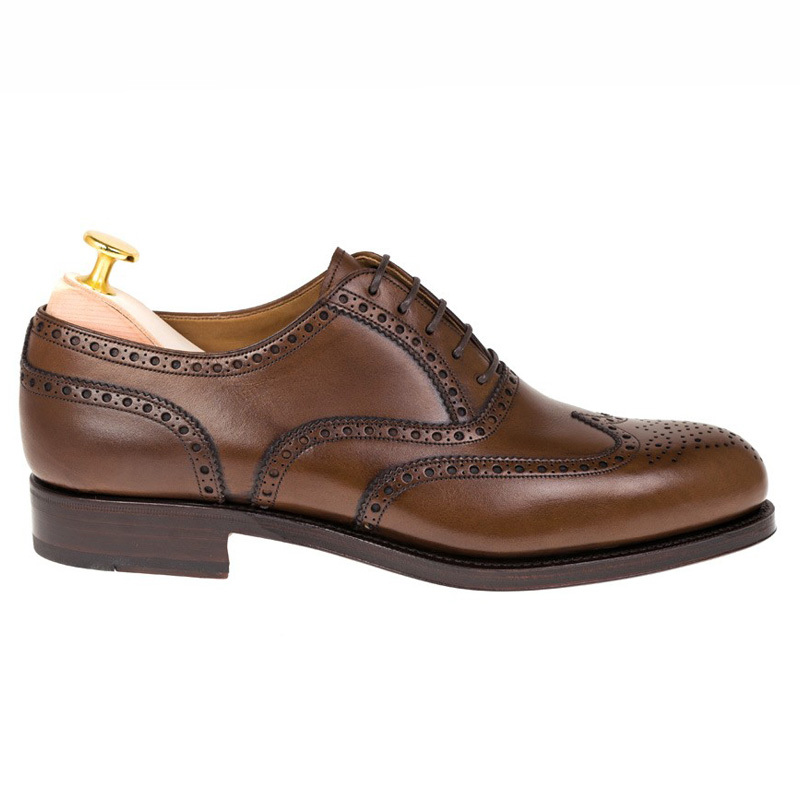 Classic wingtip brogue Oxford in brown vegano. Finished with a leather sole. Goodyear welt construction makes for asolid, durable, and comfortable shoe. Also features leather lining. Featuring full broguing and a medallion design on the toe. This style features a Carmina signature, Goodyear Welt construction that provides solid, durable, and comfortable wear. Style made one of our oldest lasts the Forest last. Rounded at the tip smooth fitting with normal instep and generous space at the tip. Carmina shoe trees sold separately. Contact us for size availability. Please allow 2-3 business days for Carmina orders to be processed before shipping. Let's see if we can find you something similar. View the entire current Carmina collection. Feel free to contact us for some assistance in finding a similar product. See this item at a better price elsewhere? We will beat the price on any competitor website that has the same price or lower price than we do. Please contact us to confirm price beat on this item. If you are not happy with your order, we are happy to accept a return or exchange. You may return or exchange an item within 15 days after receipt of your order. Returns or exchanges will not incur a restocking fee. Please note that shipping charges are not refundable. Prior to sending back your return, you must contact us in order to obtain a Return Authorization Number and specific return instructions. The Return Authorization Number must be written on the outside of your package. Any returns/exchanges made without prior authorization will not be accepted. 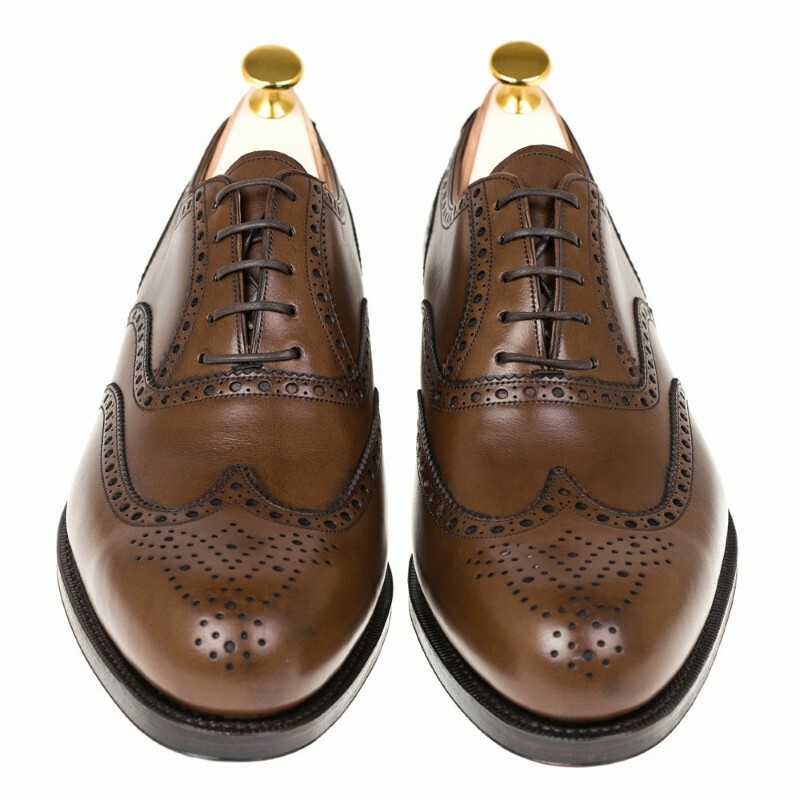 All returns/exchanges must be returned to MensDesignerShoe.com in their original condition, in original packaging, including shoe dust covers and all tags. 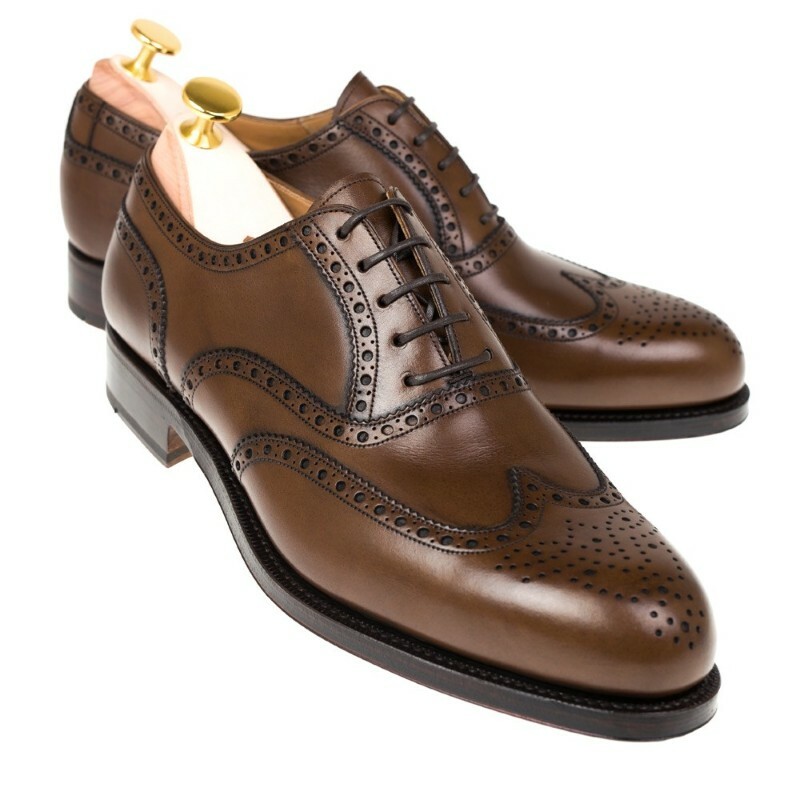 MensDesignerShoe.com does not guarantee wear or tear or any damage unrelated to the manufacturer. Shoes returned with any scratches or scuffs, or excessive creasing in the vamp will not be accepted. Not all items are eligible for return/exchange. Some sales/closeout items may not be eligible for return or exchange. If a sales item is not eligible for return or exchange, this will be notated on the product page of the sales item by a "all sales are final" or "no returns or exchanges" notation. All custom order items will not be eligible for return or exchange, these are items that are special ordered / produced specifically for an individual customer, this will be notated on the product page of the custom items where this applies. See our Online Policies section for policy details and brand restrictions. Do you have a question on this product or on placing an order? Please send us your question below and we'll get back to you promptly. To place an international order simply add items to your shopping cart and click the Proceed to Checkout button at the bottom of the page. If you have trouble placing an order through our shopping cart, simply contact us and we can send you a Paypal invoice for your order. For international orders we accept Paypal as the method of payment. Paypal allows you to use your credit card or bank account to fund your Paypal account and make payment for your MensDesignerShoe.com purchase. On some international orders we will require that your Paypal account be Verified. Getting your Paypal account Verified is easy, simply login to your Paypal account and click the link to Verify your account and follow the steps. A Verified Paypal account adds extra protection to both the buyer and seller. We neither sell nor share your information with outside companies or third parties. When you purchase from our online store, we collect your name, billing and shipping addresses, phone number, e-mail address, and credit card information. You provide this information so we can process and ship your order. We respect your privacy by not selling or sharing this information. We encourage you to sign-up for our e-mailing list. These letters provide you with advanced notice of store sales, new merchandise, and other store-related events. But, of course, you have the freedom to add or remove your name from our list at any time. We take appropriate security measures (including physical, electronic and procedural measures) to help safeguard your personal information from unauthorized access and disclosure. For example, only authorized employees are permitted to access personal information, and they may do so only for permitted business functions. In addition, we use encryption in the transmission of your sensitive personal information between your system and ours by employing Secure Sockets Layer (SSL)* technology to insure your safety. Secure Sockets Layer encrypts your order information and sends it to a secure server, making it impossible for that information to be decoded by a party outside of the store you shop with. To check the security of your connection during checkout, look for the unbroken key or closed lock at the top or bottom of your browser window, depending on the browser you are using. This indicates SSL is active. You will also see an SSL seal at the bottom of all secure pages, simply click on it to bring up the SSL certificate information which will confirm that our SSL certificate is valid and functional. We also have the Norton Secured Trust system in place, one of the most trusted internet security trust systems available. This system ensures that our website is scanned for any malware on a daily basis. Look for the Norton Trust seal at the bottom of all pages on our website, click on this seal to confirm that the malware scan has been successfully completed by Norton for the day. We want you to feel confident using our website to transact business. However, no system can be completely secure. Therefore, although we take steps to secure your information, we do not promise, and you should not expect, that your personal information, searches, or other communications will always remain secure. Users should also take care with how they handle and disclose their personal information and should avoid sending personal information through insecure email. Please refer to the Federal Trade Commission's website at www.ftc.gov/bcp/menus/consumer/data.shtm for information about how to protect yourself against identity theft.